My husband and I are celebrating our 2nd year anniversary today! I can’t believe it’s been 2 years already. It feels like yesterday when we said “I do,” and each and every day I fall even more in love with him (Okay, I promise not to be mushy for the remainder of this post, but sometimes I just can’t help it haha). 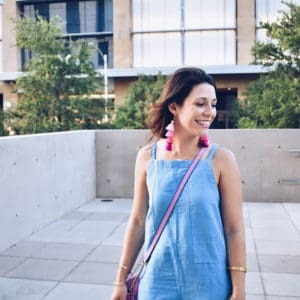 Anyways, I wanted to share some DIY ideas that can utilized for any special occasion. 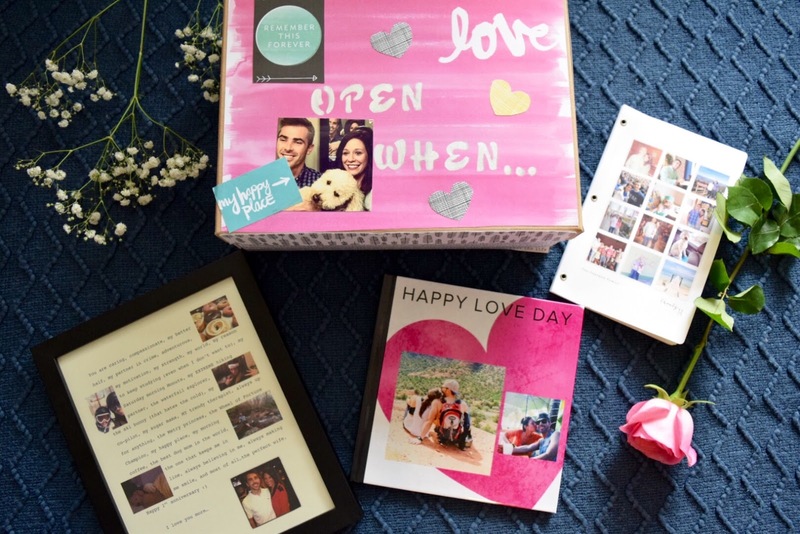 Most of these gift ideas were from our one year wedding anniversary, which was paper themed. 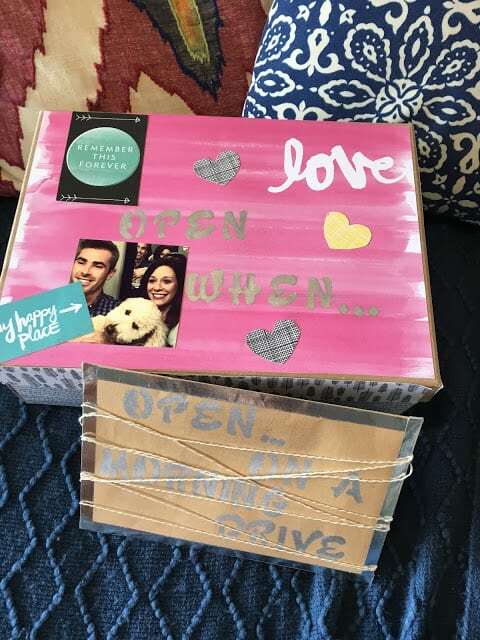 I don’t know about y’all, but I always have the hardest time buying gifts for the hubs. 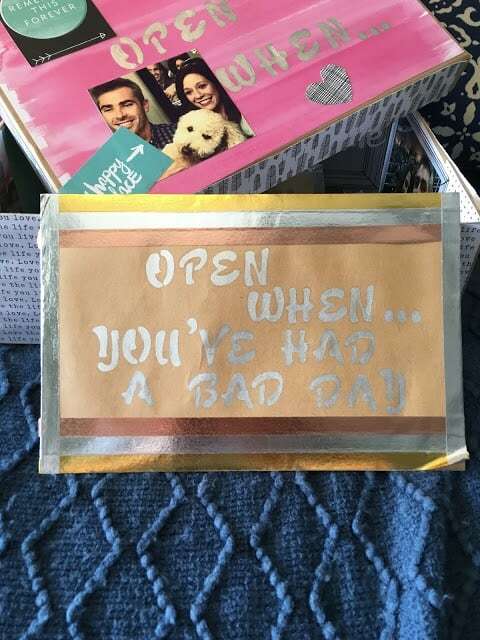 Anytime I ask him what he wants, he always says “I don’t need anything.” That being said, I decided I had to be creative with my gift giving, and decided on making these “Open When” letters. 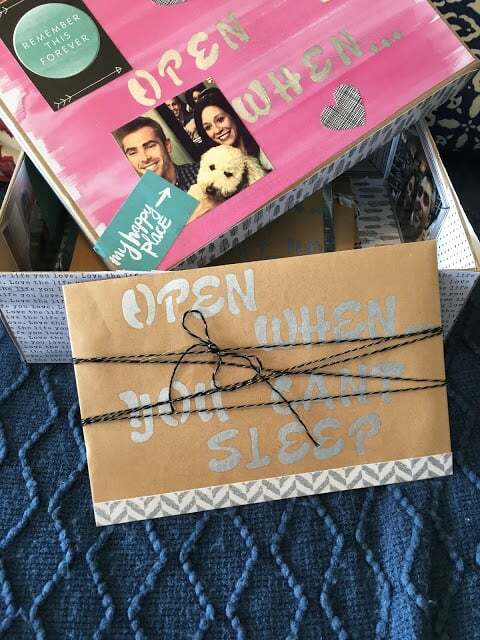 GIFT IDEA # 1: I made this box of “Open When” letters, which is basically an old shoe box covered in fun scrapbook paper, with different themed letters inside. I posted some of the different letters I made below. As you can see, I might have gone a little overboard at Michael’s on craft supplies lol, but how can you not want to buy everything when you’re making fun DIY projects?! 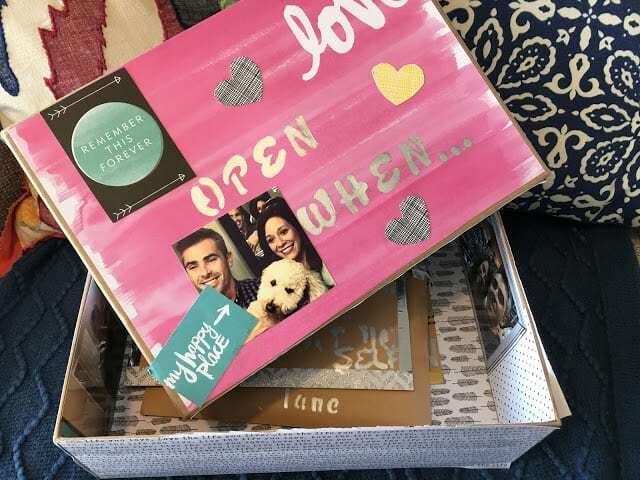 Some of the items I purchased to complete this project were: paper envelopes, scrapbook paper, twine, washi tape, silver paint pen, and a stencil for the lettering. 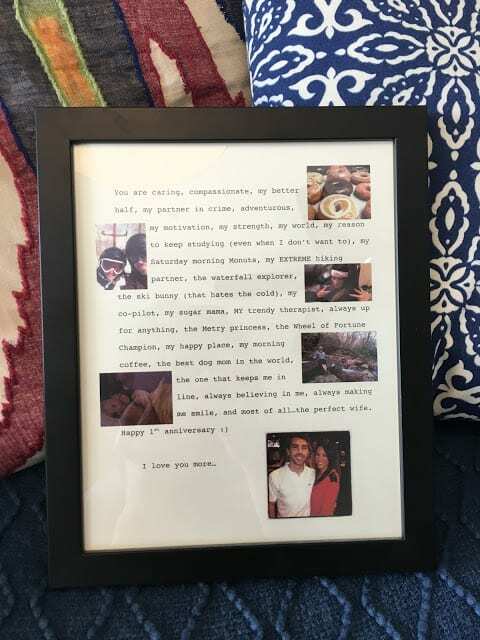 GIFT IDEA # 2: My husband made me this personalized framed letter which included random pictures of us. 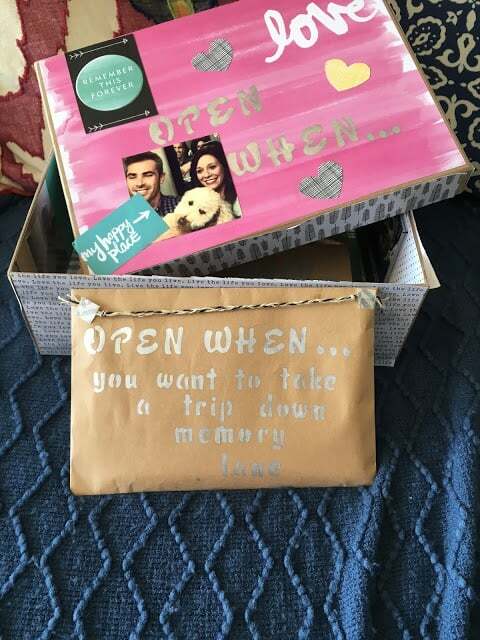 How sweet is that?! 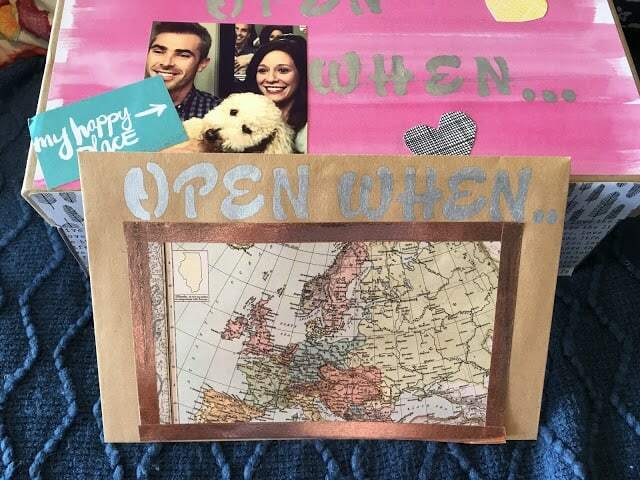 Literally, this was my favorite gift he’s ever given me and it definitely had me tearing up. 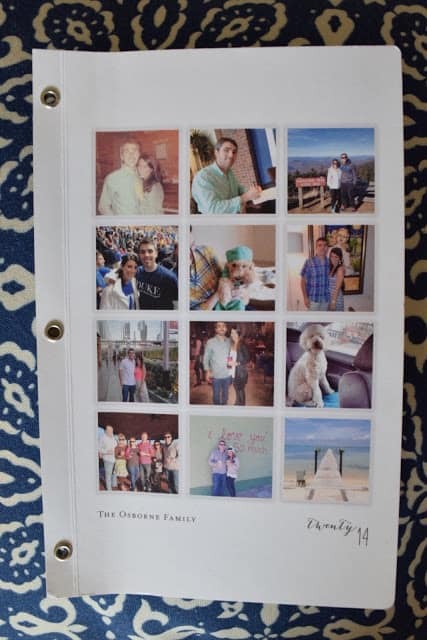 GIFT IDEA #3: This was not from our anniversary, but I made this for the hubs when he was in school and had away rotations. 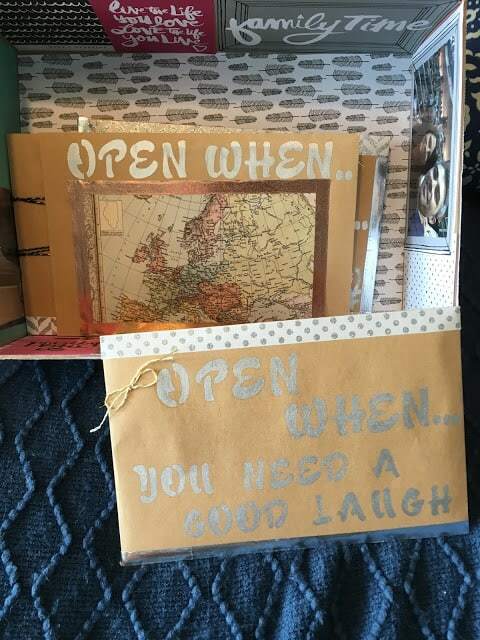 We would write sweet letters to each other and leave it for one another to read while the other one was away. You can find this same one here. 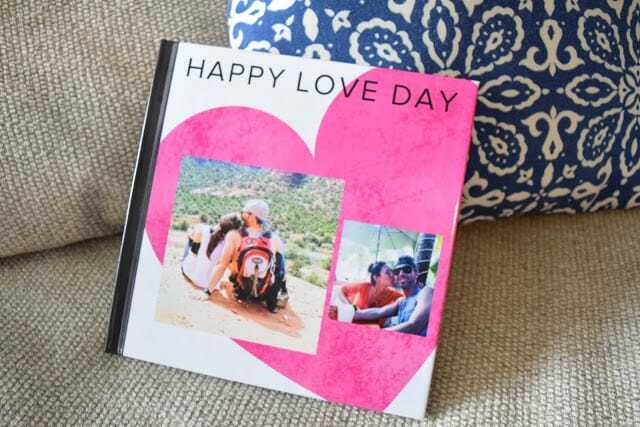 GIFT IDEA #4: How cute is this “Happy love day” shutterfly book? 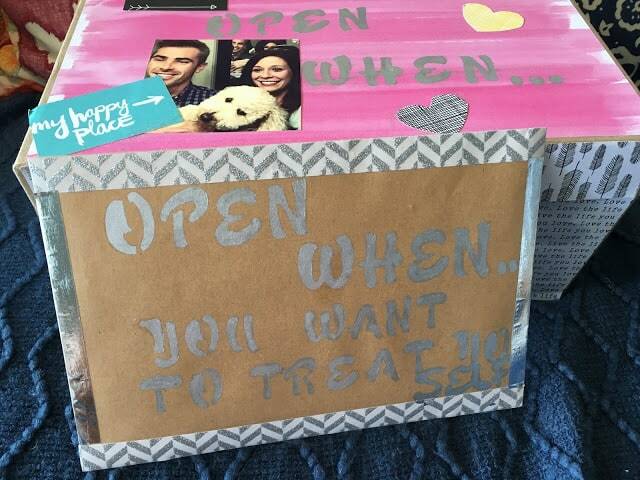 and YES… I am THAT wife that has a few of these along with scrapbooks haha. PS.. if you use groupons, you can totally end up getting this type of book for under $20!